From small portable systems to large installs we will design a system to match your needs, desires, and budget. 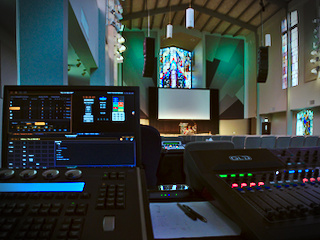 Specializing in theatrical design, we will help you design and run a live production even including online broadcast. We have experience with design and production in the world of theater and concerts both as well as events such as town halls, forums, and similar. From managing your desktops in your small business, to handling networking requirements, server needs, or even expanding to DevOps management of cloud resources we can help you manage your IT needs. If you want to go quickly, go alone. If you want to go far go with others. Part of what makes Leviathan-AVC unique is that we build relationships first. These relationships are both with our clients, but also a network of artists, technicians, and people with other abilities that allow us to work with you to find the people you need to get a job done. Our experiences in a wide range of fields has had us working with artists all over the world with unique talents that would love to work with us and you to accomplish your needs. Below you can see some of the companies we have formed relationships with over the years to accomplish your needs for your projects. We will coordinate to find you the right people for your particular needs. A small sampling of previous projects. We make a living but what we get. We make a life by what we give. As Atlee Church was looking to upgrade their phone systems to VoIP they realized that their network at some of their locations was not going to be able to support it. 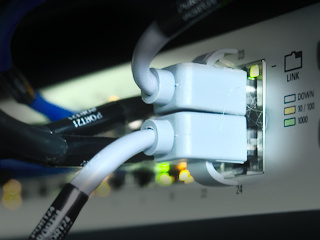 As a result we came in and upgraded the network to support the VoIP while still allowing the existing tenant networks and WiFi to continue operating, upgrading some of the wiring, the gateway and switches and finally installing the VoIP phones and confirming they worked. As part of the merger between Northminster Baptist Church and Atlee Community Church, Atlee desired to remodel the sanctuary that had not been used regularly in over a decade, and move services back into the sanctuary. 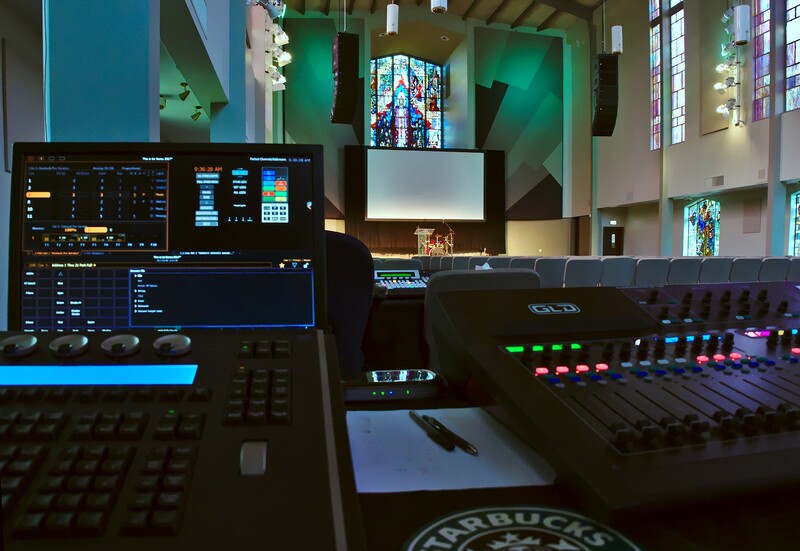 This required a major update to the building, complete with an overhaul of the electrical system, updated and significantly larger audio and lighting systems, and the addition of a projections system. 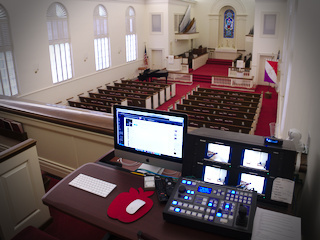 Trinity United Methodist Church was looking to improve its contemporary worship service. 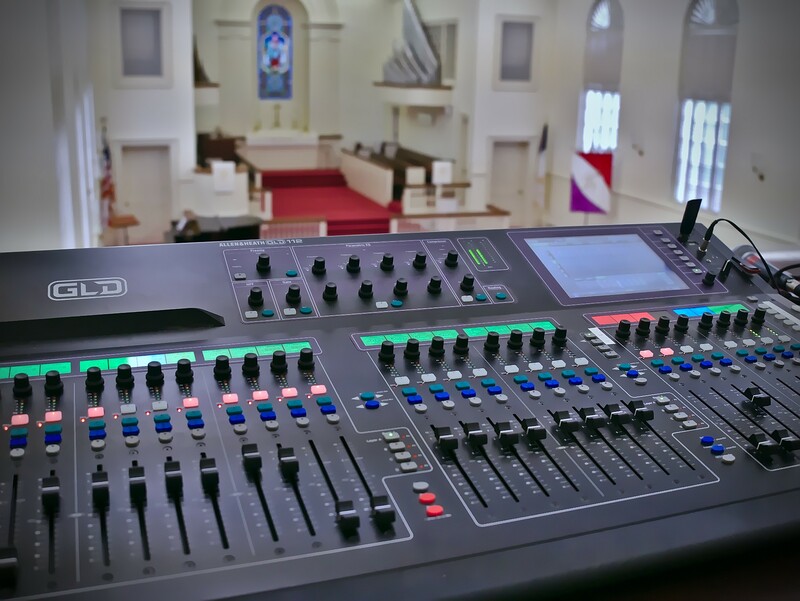 As part of this they needed to update their current sound system, replacing the failing audio console with an updated console, and updating the speakers to handle a more modern style of music, while still maintaining the visual asthetics of the traditional sanctuary space.